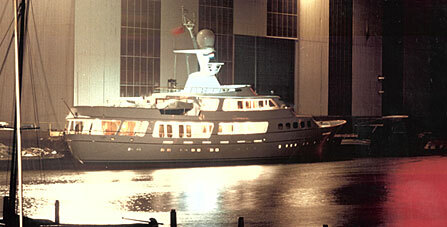 Lady Georgina - Diana Yacht Design B.V.
Lady Georgina (ex-Katalina) is 48 metres of sophisticated elegance. There are very few yachts that can offer as much guest accommodation as this traditional motor yacht. 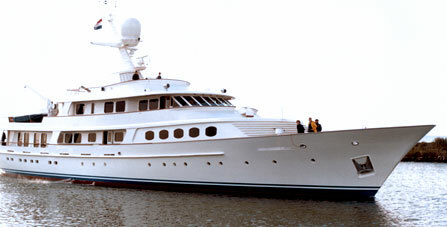 She can carry 14 guests and has twin VIP suites of equal size, both on main deck. Full displacement and good deck space allow her to carry a variety of tenders and water sports equipment. Lady Georgina is 48 metres of sophisticated elegance. 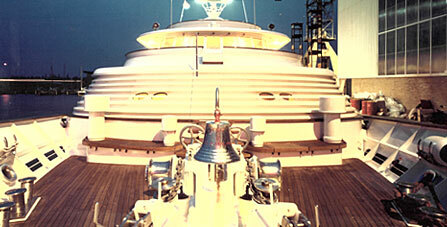 There are very few yachts that can offer as much guest accommodation as this traditional motor yacht. She can carry 14 guests and has twin VIP suites of equal size, both on main deck. Full displacement and good deck space allow her to carry a variety of tenders and water sports equipment.